Finished off most of the veg a few weekends ago. Was all very nice indeed. 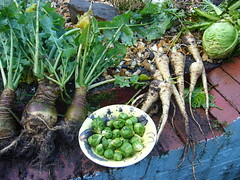 The Swede didn't grow as well as I hoped, didn't seem to swell at all, but tasted very nice all the same.